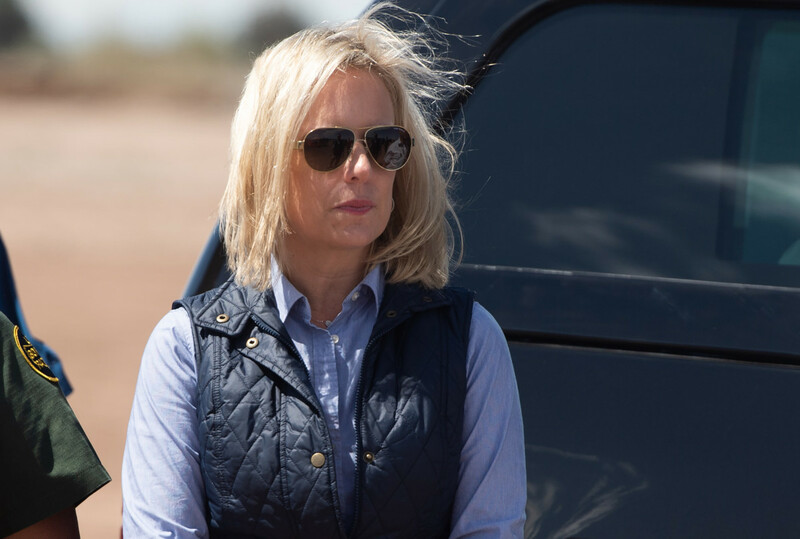 In this photo taken on April 5th, 2019, Secretary of Homeland Security Kirstjen Nielsen waits for President Donald Trump as he arrives to tour the border wall between the United States and Mexico in Calexico, California. On Wednesday, Secretary of Homeland Security Kirstjen Nielsen officially left the role she&apos;s held for two years. She had released a letter of resignation on Sunday after President Donald Trump tweeted that she would be leaving her position. Nielsen&apos;s temporary replacement will be the current head of Customs and Border Protection, Kevin McAleenan. 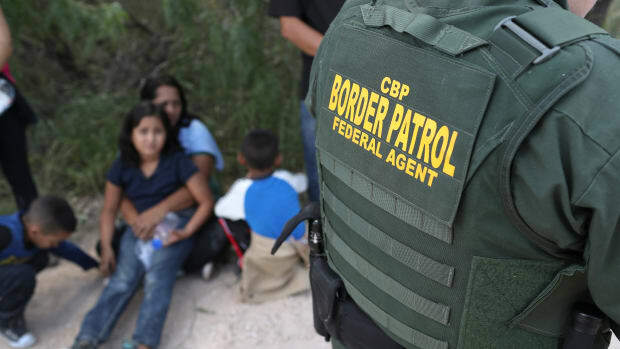 The Department of Homeland Security houses both CBP and Immigration and Customs Enforcement, and, under Nielsen&apos;s leadership, those agencies oversaw one of the biggest controversies of Trump&apos;s presidency thus far: the family separation crisis. It&apos;s not yet clear exactly what role Nielsen played in creating and implementing the set of policies that led the administration to separate more than 2,700 children from their parents. 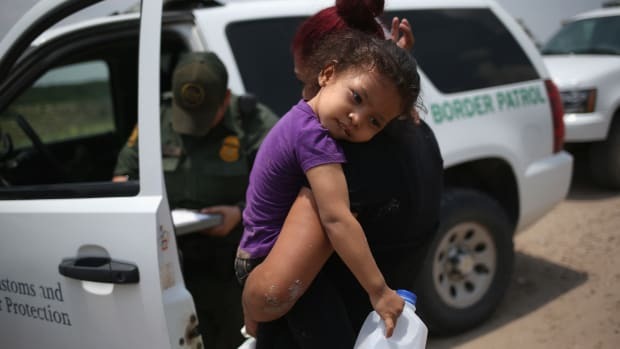 But while other departments (including the Department of Justice and the Department of Health and Human Services) played a part, the task of defending family separation at hearings and press conferences frequently fell to Nielsen, making her the public face of the policy. Here is a timeline that captures what we know about Nielsen&apos;s role in family separation. 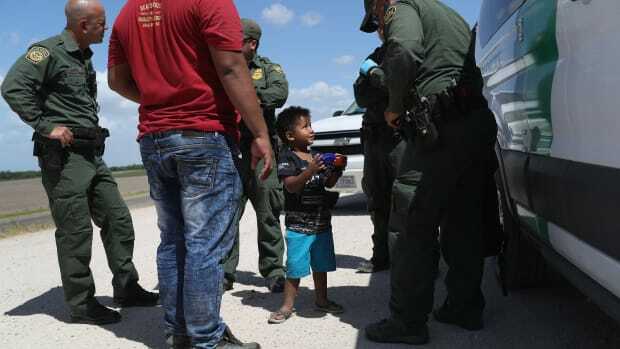 March of 2017: A few months after Trump took office, news reports circulated that the White House was considering separating families as part of its new immigration policy. 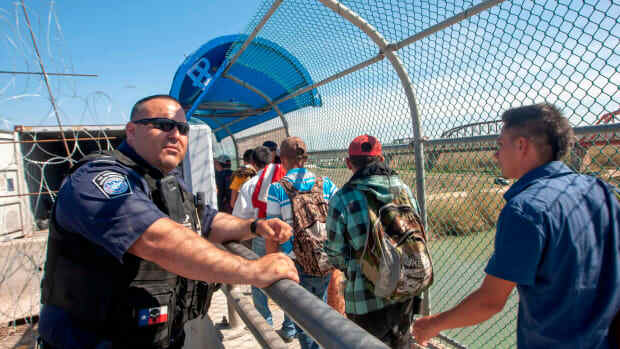 On March 7th, John Kelly, then-secretary of Homeland Security, confirmed the report, and said that the goal of separation would be to deter people from immigrating unlawfully by making the consequences for doing so more painful. At this time, Nielsen was Kelly&apos;s chief of staff. March to October of 2017: As far as most Americans (and most journalists) knew at the time, the Trump administration had backed away from its plan to separate migrant children from their parents. Even today, most people associate family separation with the "zero-tolerance" policy then-Attorney General Jeff Sessions introduced in April of 2018 (more on that below). But we now know—in part from the government&apos;s own internal reports—that potentially thousands of children were separated before that date. We also know that, from June to October of 2017, the administration ran a "pilot program" to field-test separating migrant children from their parents in El Paso, Texas. Nielsen was still chief of staff at the DHS when the pilot program began in 2017; Kelly, as head executive in charge of CBP, was effectively responsible for the program. At the end of July, Kelly became Trump&apos;s chief of staff, and Nielsen followed him to the White House, becoming his deputy. October 11th, 2017: Trump nominated Nielsen to become secretary of Homeland Security, replacing Elaine Duke, the acting head of the agency. At the time, the New York Times reported that Nielsen was "[k]nown as a no-nonsense player and policy wonk" who seemed "unlikely to land at the center of the type of controversies that have engulfed Mr. Trump&apos;s presidency." December 6th, 2017: Nielsen was sworn in as secretary of Homeland Security. March 9th, 2018: Representing a Congolese mother who was separated from her child when legally applying for asylum at an official point of entry, the American Civil Liberties Union filed a class-action lawsuit against the government, claiming that it was unfairly separating children from their parents. 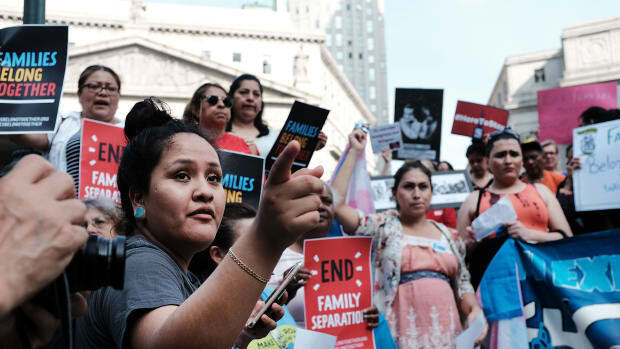 While there were only two plaintiffs, the ACLU declared that the lawsuit was filed "on behalf of hundreds of other parents whom the government has forcibly separated." The Trump administration denied it was separating migrant families except in cases in which children&apos;s well-being was in danger. April 6th, 2018: Attorney General Jeff Sessions announced the administration&apos;s now-infamous "zero-tolerance" policy, which called for every single adult caught crossing the southern border to be detained, prosecuted as a criminal, and deported. Because a federal statute protecting children&apos;s rights limits the amount of the time a child can remain in detention to 20 days, the policy created a choice to either parole families awaiting deporting hearings, or separate children from their parents so they could be detained indefinitely. April 11th, 2018: Nielsen testified in front of Congress, repeatedly denying that the administration had a family separation policy and claiming that children were not being separated in any situations that they wouldn&apos;t have been under previous administrations. April 16th, 2018: The DHS Office of the Inspector General, the government watchdog organization in charge of overseeing the department, announced it would investigate whether the DHS was improperly separating children from their parents. April 20th, 2018: The New York Times published its report revealing that least 700 children had been separated, starting in October of 2017, if not earlier. According to the Times, Trump pressured Nielsen to implement family separation and was frustrated that DHS had "not been aggressive enough in policing the border." April 23rd, 2018: This is the date the government notes at the top of the "smoking gun" memo obtained through Freedom of Information Act requests by watchdog organizations. In the memo, the heads of ICE and CBP offered Nielsen three options for implementing zero tolerance. Nielsen signed off on the option they suggested, which, in effect, made it possible for the DHS to "permissibly direct the separation of parents or legal guardians and minors held in immigration detention so that the parent or legal guardian can be prosecuted." May 10th, 2018: Trump reportedly berated Nielsen at a cabinet meeting for not doing more to stop migration across the southern border. May 16th, 2018: California Senator Kamala Harris grilled Nielsen in a Senate hearing. Nielsen falsely denied that administration had a policy of separating children from their parents. June 18th, 2018: In what would become the defining moment of her tenure at the DHS, Nielsen defended family separation during a White House press conference: "This administration did not create a policy of separating families at the border," she claimed. Although this moment effectively made Nielsen the face of family separation, according to later reporting by Politico, she was tapped to lead the press conference not because she created family separation, but rather because she had a "command of the issues" and competency other administration officials lacked. July 20th, 2018: Facing massive public backlash, Trump signed an executive order banning family separation. According to Politico, Nielsen helped draft the order. May 7th, 2019: Nielsen testified about family separation to a newly Democrat-controlled Congress. She repeated her claims that the administration did not create a policy that enacted family separation, and she also falsely claimed that no parents were deported without the chance to reunify with their children (the administration itself has identified 471 parents who were deported without their children). April of 2019: Multiple publications, including CNN, have reported that Nielsen&apos;s dismissal resulted in part from her refusing Trump&apos;s demand that she find some way to re-institute family separation. When Nielsen leaves her office on April 10th, McAleenan will take charge of the DHS.